It is important to keep the roof of your home clean, not just for the sake of appearance, but also because roof debris can cause water to pool on your roof, leading to leaks. Common rooftop debris consists mainly of leaves, pine needles, cones, seedpods or fruit and small sticks or twigs, all of which fall off of nearby trees or are blown onto the roof by the wind. If you are building a new house, keep in mind that a simple roof structure, with fewer gables and valleys, will be less likely to accumulate debris and will be easier to clean. If you find that debris accumulates on your roof on a regular basis, preventing the buildup in the future can be difficult, unless you are willing to cut down all the trees in your yard. This is an extreme measure to take. If you live in the city, it is entirely likely that one of your neighbour’s trees is at fault for depositing most of the debris onto your roof. Luckily, it is a fairly simple task to clean your roof, provided it is done properly and on a regular basis. The best way to remove the debris is to go up onto the roof and remove it by hand. Dry debris will be far easier to remove from the roof than wet debris, so choose a day that is dry and warm. It is also safer to be on your roof when the shingles are not wet. 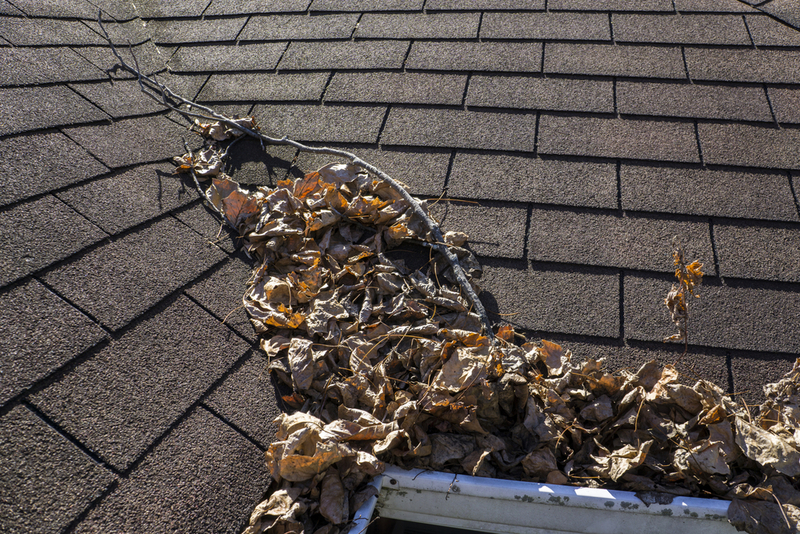 If your roof accumulates debris on a regular basis, clean it at least once a year, preferably in the fall after all the nearby leaves have fallen. If you let the leaves and other debris decompose on the roof over the winter, they will have a consistency closer to compost. This roof debris will be more likely to stay wet and will be more difficult to remove completely from the roof. If necessary, you can use a broom or brush with soft bristles to help remove debris from the roof. Do not use a stiff-bristled broom and do not scrub the shingles, as this will result in removing the granules from your asphalt shingles. The granules protect the shingles from the sun, and removing granules will significantly shorten the life of your roof. Never use a pressure washer on your roof, as it can damage shingles and cause water to enter your home. Always keep safety in mind if you intend to clean your own roof.